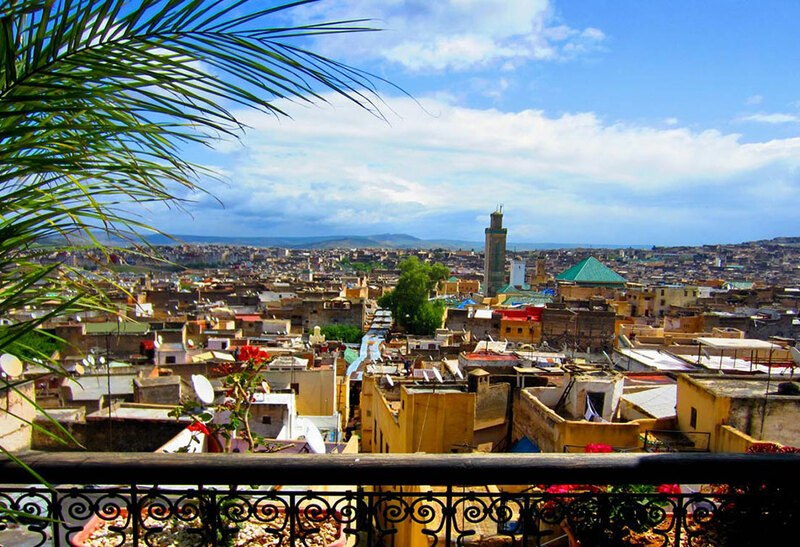 Our 3 days from fes to marrakech desert tour is the perfect way to visit two of Morocco’s most beautiful cities. This tour will take 3-days and 2-nights to complete, so we’ll get an early start on the first day. You’ll return from this trip with photographs and memories to last a lifetime! Together we’ll cross the Middle Atlas Mountains; you’ll see unbelievable cedar forests, and you’ll watch the cute little Barbary apes. The views from the Ziz Valley and gorge are unbelievable, so make sure your cameras are charged and ready to go! 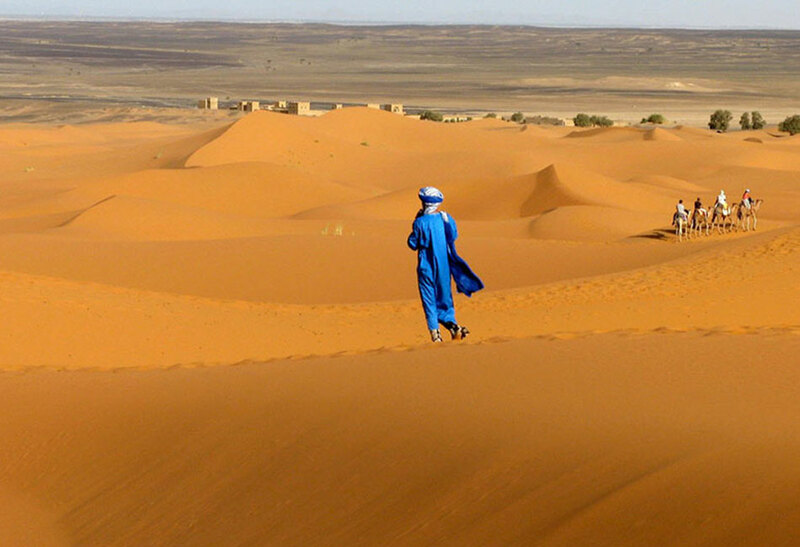 With the aid of our experienced local guide, you’ll experience camel trekking across the desert sands of Erg Chebbi. You’ll be in very safe hands as you ride on the back of a camel because our desert guides have years of it experience with camels. 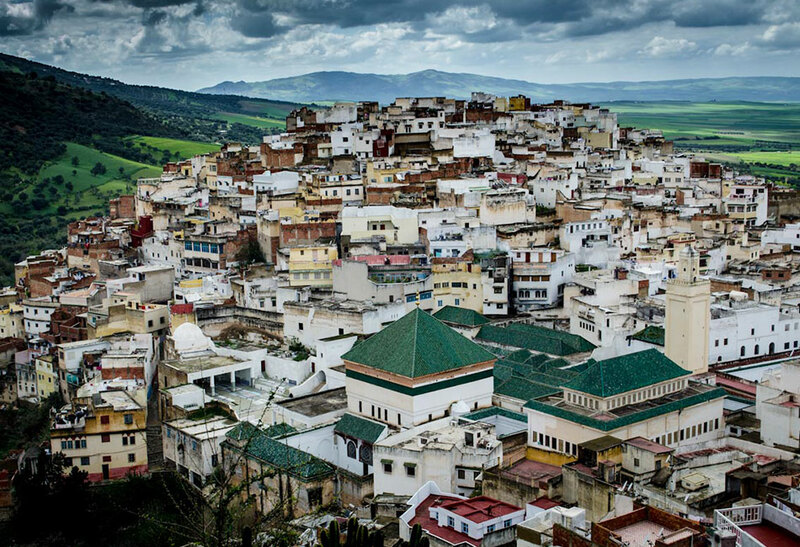 Our experienced guide will pick you up from your accommodation in Fes quite early, which will give us plenty of time to get to Morocco’s own Little Switzerland with its beautiful mountains and valleys. This is what the region of Ifrane is known as, and when you get there, you’ll see why! Our next stop will be at Azrou, where you’ll meet some very tame little monkeys. This will be a great photo opportunity, as the monkeys effortlessly jump through branches of the cedar forests. The monkeys are definitely not camera shy, so you should get some great shots. We’ll stop in Midelt for a leisurely lunch, before heading through the Tizi n Talghamt Pass on our way to Errachidea and the magnificent Ziz Valley Gorge. 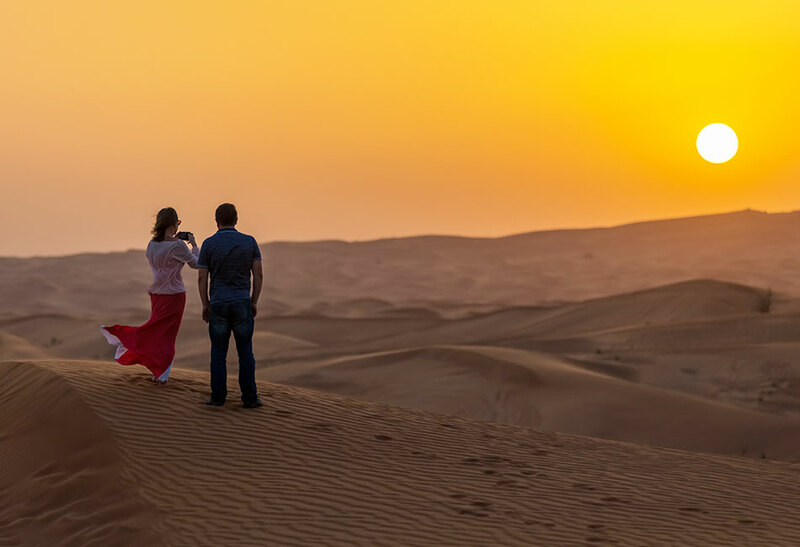 We’ll travel via the Erg Chebbi sand dunes before stopping at our hotel, and it’s here you may decide to rest for a moment and freshen up in preparation for your camel trekking adventure through the Merzouga dunes. 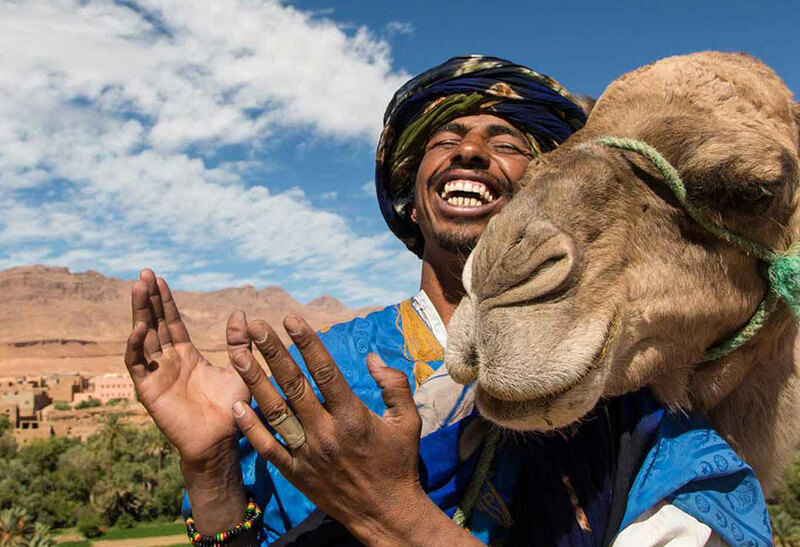 Together we’ll camel trek across the desert to our secluded desert camp where we’ll enjoy a delicious meal and spend the night under the stars. We’ll start early on day two so you can enjoy a delicious breakfast then witness something quite spectacular – a local sunrise! We’ll then continue on with our Moroccan desert adventure. We’ll freshen up at a hotel, then continue on with our journey to Tineghir, Erfoud, and then onto Tinejdad. The Todra river is quite spectacular, and you’ll see wonderful beauty spots and many waterfalls as we walk along the banks of the river. 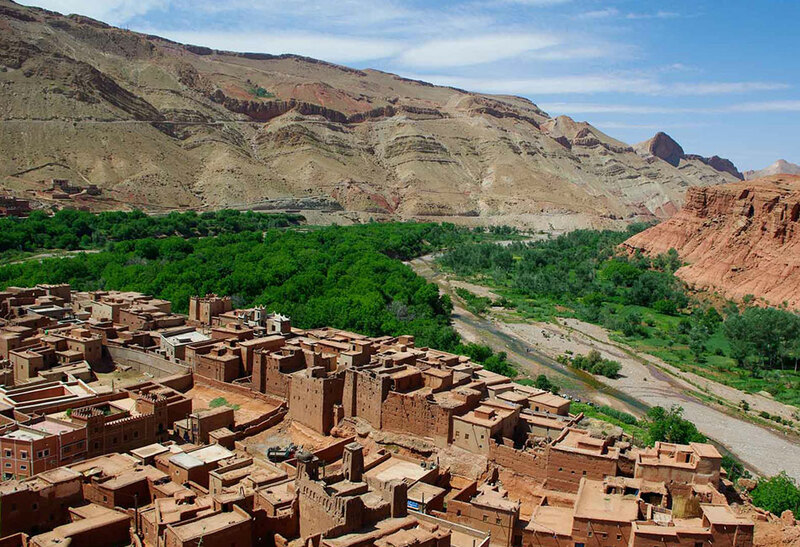 We’ll also visit local Berber villages as we head to the magnificent Boumalne Dades Valley. We’ll allow plenty of time for you to hike through the Todra Gorge and enjoy lunch along the way. The photography opportunities here are endless. Tonight will be spent in a hotel, so after a welcome shower, a delicious dinner, and an early morning breakfast, you should be rested enough to push ahead on our final day through to Marrakesh. This may be the final day of your Fez to Marrakesh desert tour, but this will still be a fun-filled adventurous day. Today we’ll visit the City of Ouarzazate, a legendary city lying east of the High Atlas Mountains. Ouarzazate boasts a massive Kasbah, a 19th century palace, and a stunning landscape that’s been used many times in epic movies like The Mummy, Gladiator, Game of Thrones, and so many more. We’ll then enjoy a leisurely lunch in the Kasbah at Ait Ben Haddou, before driving through the spectacular Tizi n’Tichka Pass in the High Atlas Mountains as we head into Marrakesh city. Again, have your cameras ready as we travel through the Tizi n’Tichka Pass, because the scenery here is quite spectacular. 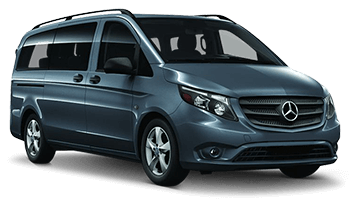 Your desert tour from Fez will be over when our driver delivers you to your accommodation in Marrakesh. As we travel into Marrakech, we’ll drive via the Tizi n’Tichka Pass through the magnificent High Atlas Mountains. Your second night will be spent in a hotel in Dade’s Valley, and includes dinner and breakfast. 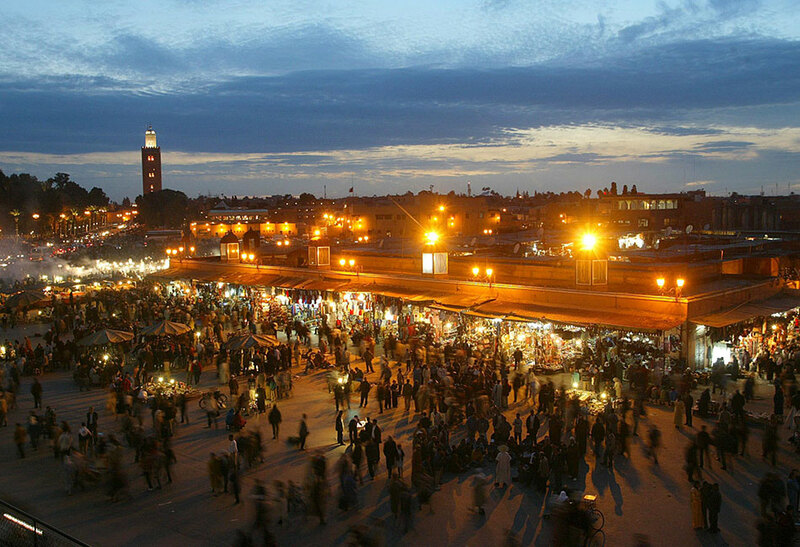 We’ll travel to Marrakesh across the High Atlas mountain range. Using the local guide at Kasbah Ait Ben Haddou typically costs three euro.